If you or someone in your family needs new eyeglasses, you may have already noticed how much money you’ll have to shell out if you buy eyeglasses at your local optician’s office or eyewear chain store like Lenscrafters. 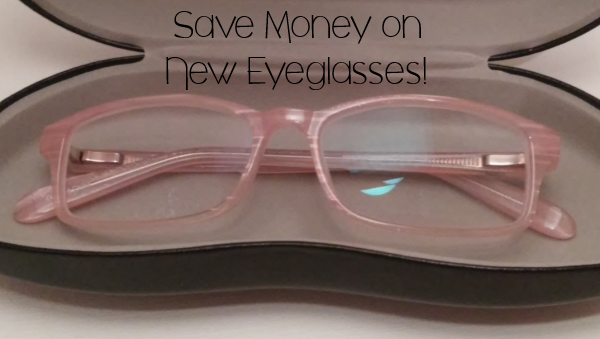 Fortunately, you can easily save a boatload of money if you buy eyeglasses through an online store such as Coastal or Warby Parker. Last year, I got a pair of backup glasses for my then 10-year-old daughter from Coastal, and liked them better than the glasses we’d paid several hundred dollars for. Yes, we have vision insurance, and glasses still cost an arm and a leg! Unfortunately, the backup glasses broke last week, so I contacted Coastal about getting them fixed. Within two days, they responded to my email, saying that they would send a replacement pair, and also providing a prepaid return label to send back the broken eyeglasses. They even said we could wait to return the broken eyeglasses until the new ones arrived. So, not only does Coastal sell great glasses, with many available well under $100 including lenses, frames and shipping, but they also offer primo customer service after the sale. 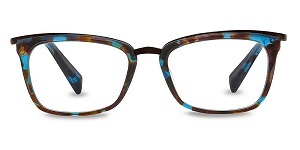 When my husband’s glasses broke a few months ago, he ordered two pairs of eyeglasses from Coastal for less than he’d previously spent on one pair of glasses at his eye doctor’s office. I haven’t used Warby Parker before, but I’m impressed by their Home Try-On Program, which lets you order up to five pairs of frames to try on at home. When you’re done, you can order eyeglasses using whatever frames you like and return the try-on frames within five days, all for free. Warby Parker has a very nice selection of men’s and women’s eyeglasses and sunglasses, with a complete set of eyeglasses, including frames and standard lenses, starting at $95. Progressives start at $295. The free home try-on program is also available for sunglasses with polarizing lenses, with prices also starting at $95. Some people may not realize that you don’t have to buy your eyeglasses or contacts from your eye doctor’s office. You can request a paper copy of your eyeglasses (or contacts) prescription and take it where ever you’d like to buy your eyewear. Online vendors like Warby Parker and Coastal can help you save hundreds of dollars on your family’s eyeglasses. If you prefer, you can also check out Walmart or Costco, since both stores have optical departments which sell eyeglasses at prices much lower than eye doctor’s offices or chain stores. I bought a pair of nonprescription sunglasses with polarized lenses from Walmart’s optical center last year, and they’re fantastic.